Girl’s soccer evaluations are taking place at the North Florence soccer fields on Chisolm Road. 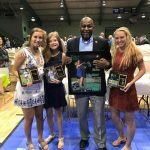 The dates of evaluations are: Nov. 8, Nov. 9, Nov. 13, Nov. 15, Nov. 17 Evaluations begin at 5:30 PM and will end at 7:00 PM. Participants should have a signed physical, shinguards (with NOACSE seal), and cleats. 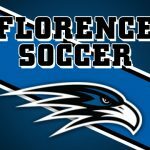 MARCH 21, 2017 – The boys and girls soccer games scheduled for today against Hazel Green have been cancelled. 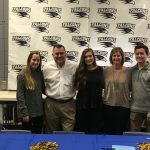 Congratulations to Mary Margaret Borden for signing a soccer scholarship with UNA. 7th & 8th grade Boys Soccer Tryouts will be November 28 – 30 (Mon, Tue, Wed) from 5:30 p.m. to 7:00 p.m. at the North Florence Soccer Complex on Chisholm Road. All athletes must have a current physical form in order to participate. 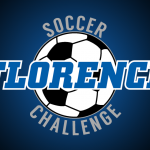 Florence will be hosting Huntsville High in a match at 7:00 p.m. this coming Tuesday, April 26. Florence will host Austin High in the first round of the playoffs next Saturday, April 30, at 2:00 p.m. at FHS. 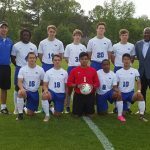 The area champion boy’s soccer team defeated Mountain Brook 2-0 on Senior Night at Florence High School. The Falcons will begin postseason play next week.